Chelmsford Bus station is less than two minutes walk from Chelmsford railway station. The number 70 bus runs about every 15 minutes. Depart the bus at Great Leighs village and cross the A131 to the racecourse. Local taxis are available to book to and from the racecourse. We will be happy to advise you of any special deals. 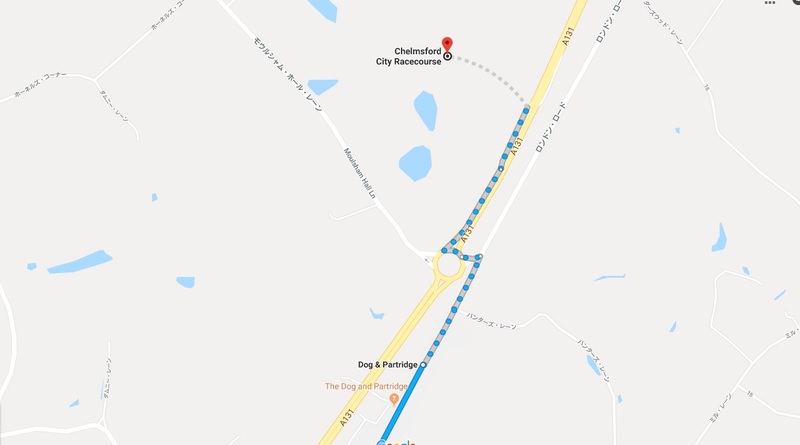 At present there is a limited shuttle service between the St Annes Castle bus stop in Great Leighs and Chelmsford City Racecourse, serving the no. 70 and no. 352 bus. We recommend contacting the racecourse prior to your visit to check shuttle times. Chelmsford Bus station is less than a two minute walk from Chelmsford railway station. At present there is a limited shuttle service between the Castle bus stop in Great Leighs and Chelmsford City Racecourse, serving the no. 70 and no. 352 bus. We recommend contacting the racecourse prior to your visit to check availability of the shuttle service. Chelmsford Bus station is less than a two minute walk from Chelmsford railway station. The No.70 and No. 352 bus runs through Great Leighs. We no longer have a shuttle bus service running between the racecourse & Great Leighs. Please note, there is no recommended pedestrian access to this venue and we encourage guests to get in touch with the racecourse prior to the event should they be wishing to access the site on foot.